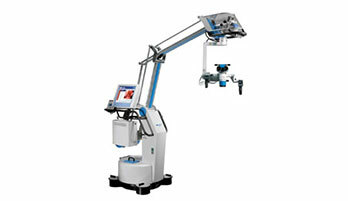 We offer the Operating Systems which are the ideal choice for all applications in neurosurgery. Systems allows easy and precise handling, they are permanently balanced and can be equipped with ALA and ICG fluorescence systems. Constantly innovating in the neurosurgical space are our products. 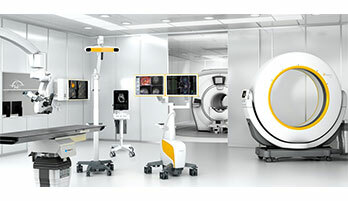 Working closely with thousands of customers in more than 80 countries has yielded innovations like CT/MR fusion, passive markers, touch screen displays and laser surface registration which are all now standard of care. As a result of this continuous drive to introduce new technologies and evolve the industry, all 10 of the top ranked hospitals for neurology and neurosurgery in the US, according to US News & World Report, use products which we offer for Surgical Navigation Technology.